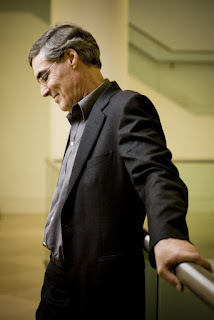 At a packed Wigmore Hall on Wednesday 17 June 2015, tenor Mark Padmore and pianist Roger Vignoles performed a programme of Britten and Schubert. Britten's song cycles Sechs Hölderlin-Fragmente and The Holy Sonnets of John Donne were performed alongside two groups of Schubert songs, Atys, Ganymed, Strophe aus 'die Götter Griechenlands', Am Strome, Des Fischers Liebesglück, Der Jüngling an der Quelle, Der Schiffer, Die Mutter Erde, Im Abendrot and Die Taubenpost. The recital opened with a trio of Schubert songs on classical themes, Atys dealing with the tragic tale of Atys and Cybele, Ganymed and Strophe aus 'die Götter Griechenlands', a single verse lamenting he lost world of Hellenic beauty. Atys was deceptively simply, but sung with a seductive line full of different colours, and Mark Padmore and Roger Vignoles brought out the songs sense of yearning, contrasting with the violence at the end when Atys commits suicide. Ganymed had a lovely rhythmic lightness in the accompaniment, contrasting with the beautifully floated vocal line. But the words were clear too, as Mark Padmore made the drama vivid as it progressed. Strophe aus 'die Götter Griechenlands' had a slow calm beauty, poignantly evoking a lost world. The next group all used the natural world as a symbol for something more; in Am Strome, the poets longing for a better world, in Des Fischers Liebesglück the fisherman's successful wooing of his love, in Der Jüngling an der Quelle consolation from failed love, in Der Schiffer a struggle with a mighty storm. Am Strome had a lovely sense of the music flowing, conveying the poet's longing with intense drama in the middle verse. Des Fischers Liebesglück was a wistful barcarolle, which Mark Padmore and Roger Vignoles made touching and rather magical. I loved the way Mark Padmore kept the high vocal leaps up still floated within the line. In Der Jüngling an der Quelle both piano and voice create a delicate hushed rippling. Der Schiffer was brisk and bold, full of swagger. Mark Padmore has a very particular way with Schubert, floating a beautifully expressive line and always attentive to the words. His vocal tone caresses the music so much, I have never heard so much quietly expressive singing. The results are not bland, but have a mesmerising intensity. He was matched throughout by Roger Vignoles, and when the two did offer vivid drama or intense violence it told even more. Britten's Sechs Hölderlin-Fragmente was written in 1958, setting six poems (hardly fragments at all) by the German Romantic poet Friedrich Hölderlin (1770-1843). Six poems in all, the cycle shows Britten completely at home in the world of the German Romantic and extending his musical language, with settings of vibrant vigour. Menschenbeifall (Public Applause) was shot through with a sense of cynicism and irony, but warmed by the humanity of the performance. In Die Heimat (Home) the lyric beauty of the vocal line contrasted with the nervous intensity of the piano part, to create a sense of longing. Sokrates und Alcibiades combined a spare piano part, almost a single line, with a rather wandering but compelling vocal line which Mark Padmore made expressively natural in feel. Die Jugend (Youth) complemented the sense of narrative with a perky, yet edgy piano part. Hälfte des Lebens (The Middle of Life) had a darkly evocative piano with seductively dramatic vocals. Beautifully intense, Mark Padmore's performance was here rather questing. Finally Die Linien des Lebens (The Lines of Life) with its sense of slow moving, highly structured, formalised music which developed in intensity. Throughout the cycle I was aware of the importance of the piano, a partner rather than a subsidiary, and often this had a life of its own contrasting to the vocal line. Mark Padmore sang throughout with a searching intensity which was very absorbing and often profoundly beautiful, though I have to admit that I was not sure what the heart of the cycle really was. After the interval we had one of Britten's earlier cycles The Holy Sonnets of John Donne, written in 1945 and which the programme note linked to the performances Britten gave with Yehudi Menuhin in the liberated Belsen camp. The cycle sets a sequence of poems by John Donne which are devoted to the poet's sense of sin and lack of self worth. Throughout the cycle the poet obsessively comes back to his 'sinne' and the repentance through Christ. Oh my blacke Soule combined dramatic vocal declamation with an insistent piano part. Batter my heart was brilliant, fast and intense (my adjective for the piano was skittering, a word which cropped up rather a lot in my notes). O might those sighes and teares was spare, with an obsessive returning to the same alternating pair of notes, and a highly vivid evocation of the Drunkard and the Lecher. Oh, to vex me was again briskly brilliant, its brittleness warmed by the humanity of the performance. What if this present was vividly declaimed drama, with a darkly obsessive piano. Since she whom I lov'd was long drawn out and simple. At the round earths imagin'd corners was Britten in brilliant Purcell-like mode. Thou has made me had a skittering piano part with a vivid declamatory vocal line which Mark Padmore made rise to real extremes. Death be not proud was quietly intoned, leading to a remarkably quiet and intense conclusion. Throughout the cycle the performance from Mark Padmore and Roger Vignoles was mesmerising, as they dug to the heart of this obsessive music. Throughout, the piano was very strongly characterised and highly structured. 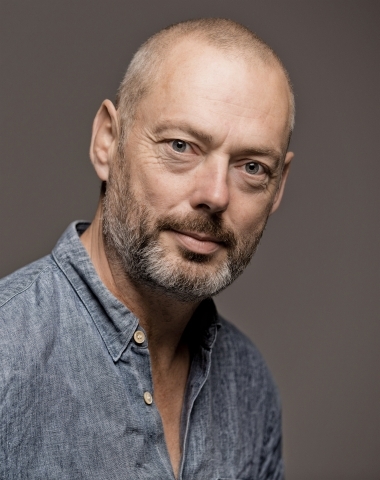 You felt throughout that Mark Padmore was really living the words and he brought a naturalness to the intensity of his expression. It was amazing that a song cycle about sin, despair and forgiveness could be so mesmerising. After being put through the wringer, so to speak, Mark Padmore and Roger Vignoles gave us three Schubert songs about endings. Die Mutter Erde, about being gathered into mother earth, was a lovely simple yet heartbreaking melody, very bitter sweet. Im Abendrot combined the beauty of the melody with the quiet warmth of the performance. And Die Taubenpost (from Schwanengesang) a magical conclusion. We were treated to an encore, Ständchen from Schwanengesang.